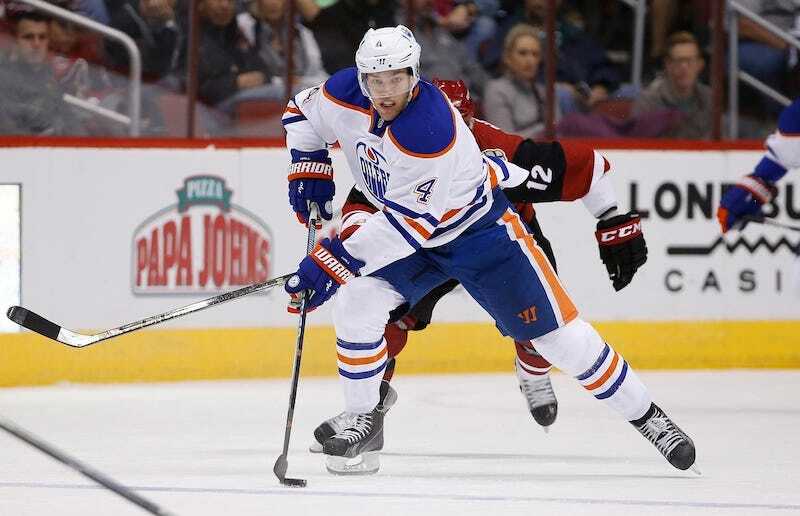 The Edmonton Oilers are trading Taylor Hall to the New Jersey Devils in exchange for defenseman Adam Larsson. TSN broke the trade, and both teams have made it official. Edmonton trading a forward isn’t a bad idea, in theory. The Oilers have many respectable players, including Ryan Nugent-Hopkins, Jordan Eberle, Nail Yakupov, and Hall. They also drafted Jesse Puljujärvi, another fast winger, fourth overall in last week’s draft. But the return on this is baffling. Larsson, a fourth-overall pick from 2011, isn’t bad, but he alone isn’t worth giving up Hall. And now, general manager Peter Chiarelli has shipped out the first two picks of the 2010 draft. In 2013, Chiarelli traded then-Bruins forward Tyler Seguin to the Dallas Stars for a package including Loui Eriksson. Dallas received an outstanding player, and Boston got a few disappointing guys. Chiarelli’s bounty on this trade isn’t as large, but it’s just as underwhelming.